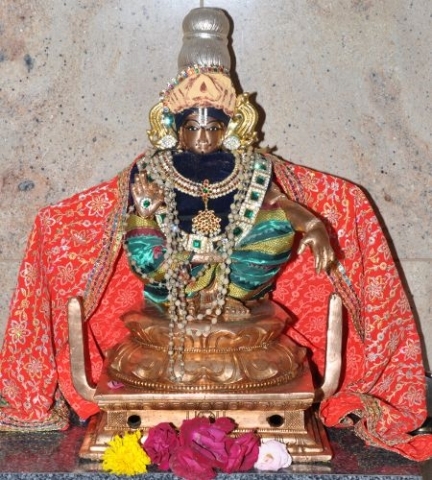 Šri Ayyappa is considered to be a combination of both Šri Vishnu and Šri Šiva. His ardent devotees observe strict mental and physical austerities for forty eight days which culminate in a pilgrimage to His shrine on Šabari hill in the State of Kerala in India to unburden their karmas. Those who have observed these austerities generally emerge as being able to gain better control over their sense organs. Šri Ayyappa empowers us with the difficult-to-attain physical and mental discipline, which is needed for our spiritual growth.